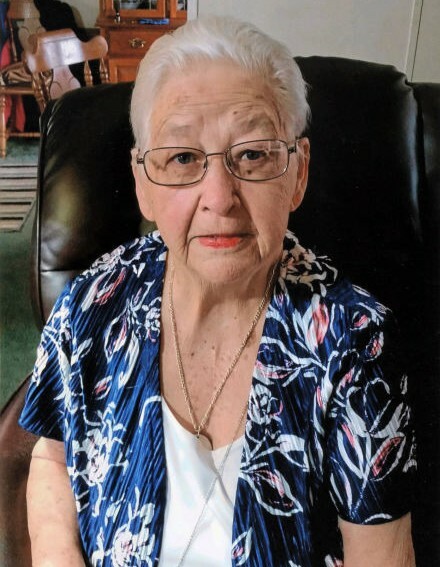 Christine Morris, age 84, of 785 McNeese Road, Vienna, died Monday, April 23, 2018, at the Medical Center-Navicent Health in Macon. Born in Climax, Georgia, she was the daughter of the late Charles Owen Worn and Rosa Layton Worn. She was a homemaker and a member of Northside Missionary Baptist Church. Mrs. Morris was truly devoted to her family and especially enjoyed cooking for her children and grandchildren. Above all, she loved the Lord. Her husband, Joe Cecil Morris, preceded her in death. Funeral services will be at 2 PM Wednesday, April 25 in the chapel of Brannen-NeSmith Funeral Home of Vienna with interment in Pinehurst City Cemetery. The family will greet friends 6 - 8 PM Tuesday, April 24 at the funeral home.